Engagement rings mark the beginning of a new chapter in your life and mark the end of your single life. Do not worry, it will be an enjoyable experience for both of you. Before you set foot in a jewelry store, you need to be aware of the assorted styles of engagement rings that are on the market today. Some are very lavish with many diamond accents and intricate designs while, others are simple with one stone and clean, smooth lines. No matter her style or preference, the two of you will find the ring she just cannot live without. Halo engagement rings are becoming more and more popular recently. They exude opulence and will make any woman feel like a princess. Neil Lane is a popular designer who caters to the celebrities. Almost all his designs include halos and can be seen on popular television shows like ‘The Bachelor. What is a halo style diamond ring? That is a good question. A halo ring has a circle of smaller diamonds surrounding the main, bigger diamond. It literally creates the appearance of a halo around the centerpiece of the ring. 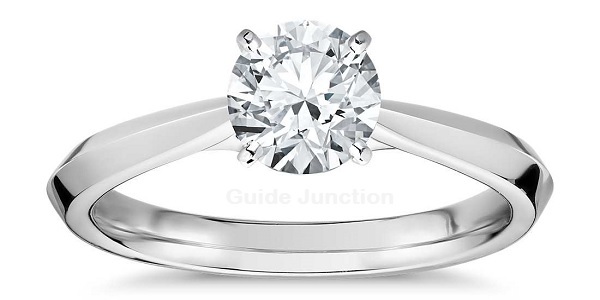 It accents the center stone perfectly and creates more sparkle and luster than if the center stone were standing alone. Some women love these styles of rings because it adds to the splendor of this already fabulous ring. There is nothing better than knowing you have a gorgeous ring on your finger. When choosing a company to spend your hard-earned money, you should do a little research too. You can go on the internet and find a wealth of knowledge about all kinds of topics. A wonderful place to start would be browsing the various styles of diamond rings. After you have learned a little about them, you want to research jewelry companies. Read as many reviews as you can possibly find. This will provide testimonials from people just like you and me who have conducted business there before. They may be able to provide you with some helpful tips as well. At the end of the day, you want to purchase a ring that fits into your budget and that inspires the very biggest smile you have ever seen on her face. The ring you choose will not change anything about your relationship, but it never hurts to keep your special lady happy and content with your purchase. Plus, she will have to look at this ring for the rest of her life.